Question: Is it possible that this news story turned me into a Republican? Answer: Absolutely not. But still, this story from the San Diego Union-Tribune has got me in a tizzy. Meanley & Son Hardware has given out free popcorn from an old-fashioned machine for about a quarter of a century. Last month, that came to a halt when the health department, acting on an anonymous tip from an anonymous destroyer of fun, rolled up to the hardware store and said, to paraphrase, NOPE. Health officials told Meanley, who actually sounds very nicely, that in order to keep handing out 30-40 free bags of popcorn per day, he’d need to “install a three-basin sink to clean and sterilize the popcorn popper,” and submit to regular restaurant-style health inspections. So he rolled the cheery red machine into storage; there was no joy in Mudville; Santa doesn’t exist; et cetera. 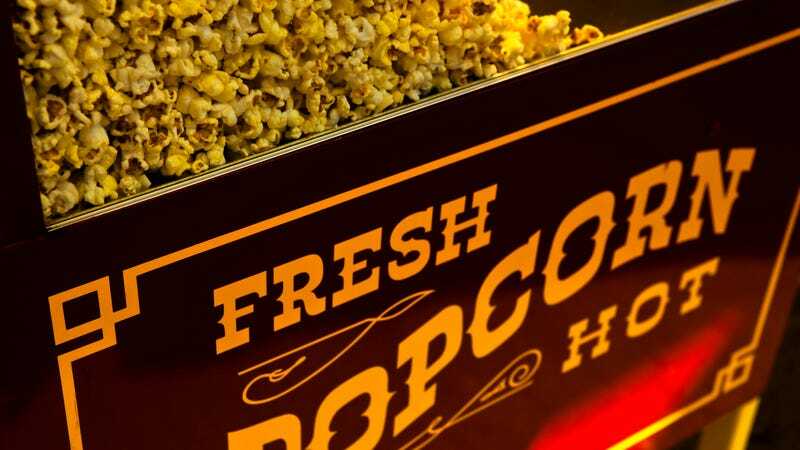 Food poisoning, the Department of Environmental Health warned, is just one potential problem with free popcorn.